Zero Gravity massage chairs enable you to bring the restorative powers of massage therapy into the comfort of your own home. These chairs use mechanical parts to simulate the massage strokes and techniques used by professional massage therapists. However, thanks to technology, many of these massage chairs have even excelled the skills of massage therapists due to their special features such as Zero Gravity. The best zero gravity massage chairs for your home or office can provide great value of money in the long run. We selected the top 10 models on the market based on their features and overall value for the end-user. You can pick any of our reviewed models and none of them will disappoint in terms of comfort, features and performance. Each of our hand-picked massage chairs is jam-packed with excellent features that comes at a suitable price tag. 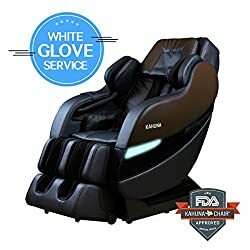 Stick around for the full Zero Gravity Massage Chair reviews below. Click here to see the price of our Top Rated Kahuna SM7300 Zero Gravity Massage Chair on Amazon. Zero gravity is a NASA-inspired weightless position. Before astronauts liftoff for space missions, they sit in chairs designed with the zero gravity feature, which places them in a weightless, reclined position. Astronauts experience sudden and intense boosts in gravity while in a spacecraft that is taking off into space. The zero gravity position protects their bodies from the stress that happens during this type of gravitational change. Once they’re reclined in a zero gravity position, the stresses of the liftoff safely distributes evenly across their bodies. If you’re wondering why would a massage chair have this feature, here’s why. Massage chairs are designed to provide an array of healthful benefits, including relaxation. Zero gravity positioning is intended to reduce stress to increase relaxation, thus making it an appropriate feature for a massage chair. In a massage chair, the zero gravity positioning is much like the kind on a spacecraft. When you sit in a zero gravity massage chair, your feet raises off the floor, and your upper body reclines. Your bodyweight distributes evenly across the chair, creating a feeling of weightlessness. Zero gravity positioning is believed to provide a variety of relaxation benefits to help you take a load off. Now let’s see more details about each of these ZeroG massage chairs. 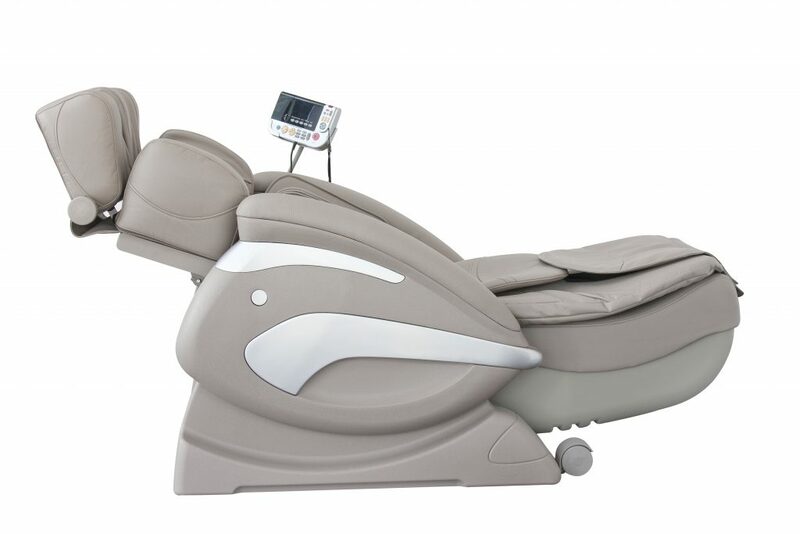 The Osaki OS-4000T design has been completely updated and re-engineered to improve users massage experience. Now, it is one of the more “mechanically sound” chairs in the industry today. Although it has underwent a variety of upgrades, the zero gravity feature remains. Zero gravity places in you in a horizontal position that reclines your back and elevates your feet. As you’re in this position, the Osaki massage chair will give you a massage enhance the experience. Air massage is another kind of massage you’ll receive with the Osaki zero gravity massage chair. It features what is known as the “Next Generation Air Massage Technology” which uses airbags that inflate and deflate to create gentle twisting and compression movements. This technology works out the kinks in your shoulders, arms and hip areas. After reducing the number of airbags, Osaki increased the surface area of massage. The S-track movable, intelligent massage robot focuses on providing the right type of massage for your back. It memorizes the curvature of your spine and uses the information to execute a massage that decompresses each disc of your spine. Afterwards, your back will feel more relaxed. Computer body scan technology starts the moment you push a button. Once your body is scanned, the rollers inside the chair adjusts to your unique form and delivers the appropriate pressure. Also, the height and width of the chair changes to suit your body. 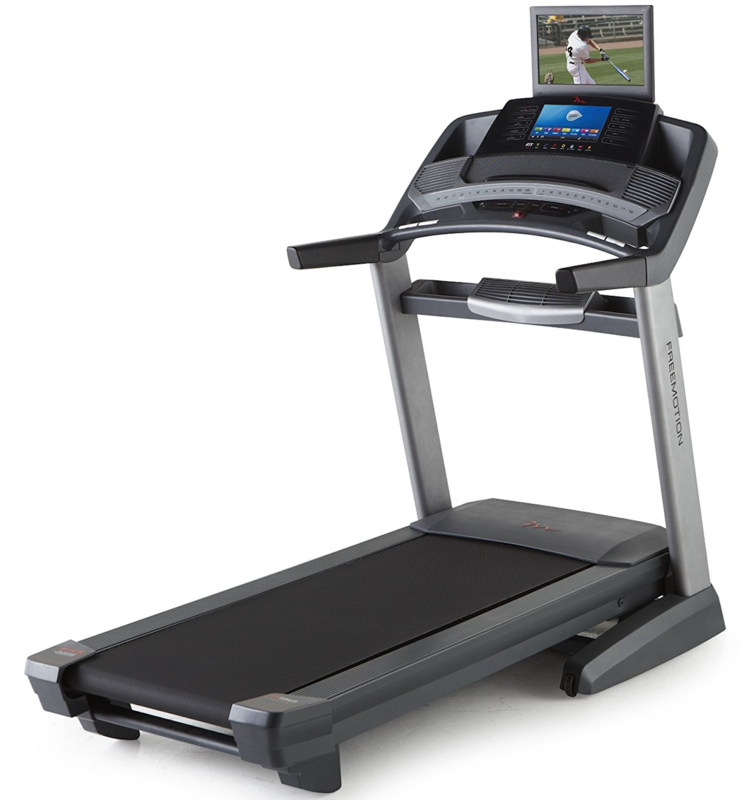 This technology focuses on the lumbar, neck, shoulders and other problems areas. Do you come home from work with achy feet? The Osaki OS-4000T provides a foot massage that will soothe and relax sore, tired feet. An upgraded roller system targets all the acupressure points on your feet and uses a spinning motion to alleviate tension. Moreover, airbags work with the foot rollers to improve circulation and relieve soreness. 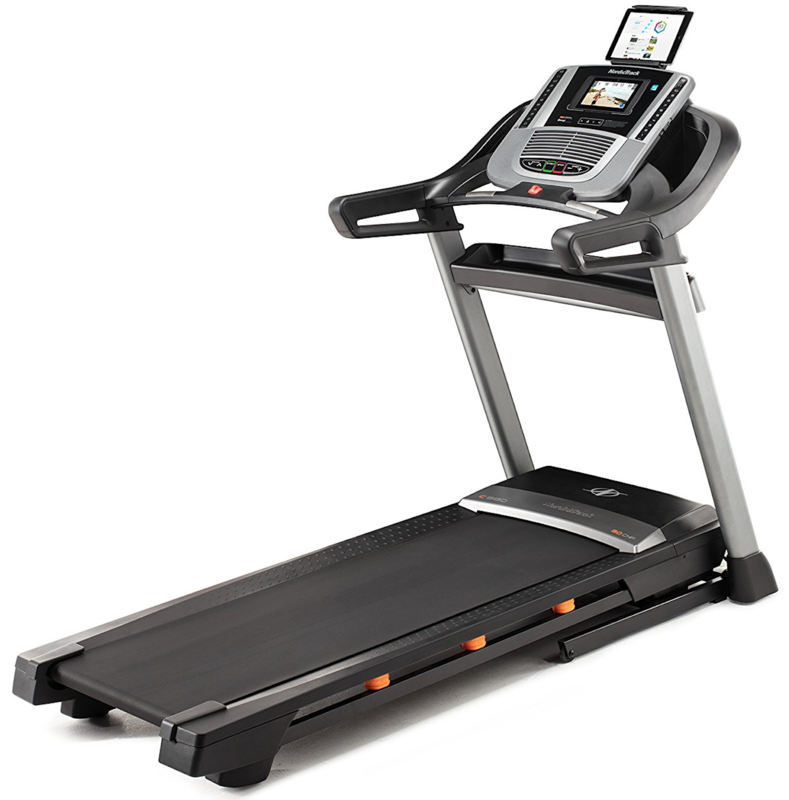 Osaki OS-4000T comes with automatic programs and manual programs. The five automatic programs include Demo, Stretching, Anti-Stress, Thai and Muscle Relief. Each targets specific areas of the body to relieve stress and tension. Moreover, the manual programs lets you select between six types of massages, such as Kneading, Tapping, Swedish, Rolling, Shiatsu and Clapping. Nothing quite compares to the soothing sensation that heat provides for achy regions. That’s why Osaki Zero Gravity Massage Chair included heat therapy for the lower back region. You can adjust the speed and intensity levels of any massage by up to five notches. A wireless remote lets you control everything with your fingertips when you can’t reach the control panel. People over 6 feet 1 inch may not fit fully into the chair. 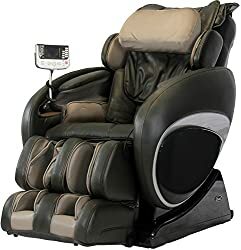 Click here to see the price of the Osaki OS-4000T Executive Zero Gravity Massage Chair on Amazon. The Medical Breakthrough 4 Massage Chair is the only chair that can boast that it was designed by 25 doctors, chiropractors, pain specialists and surgeons. Additionally, it’s FDA approved. Zero gravity positioning picks your feet off the floor and reclines your upper body to make you feel completely weightless to deepen your massage experience. With a push of a button, you can access this feature. A Smart Body Scan System automatically learns the shape and curves of your body. The scan system adjusts the chair to match your body’s unique form and delivers a therapeutic massage. The Medical Breakthrough 4 Massage Chair features an L-Track back track system, which is a set of four movable rollers that mimics the human touch. It moves vertically to fit the curves of your body. Moreover, it works in the zero gravity position. This massage chair has been programmed with several different massage techniques, such as kneading, shiatsu, knocking, flapping and flapping and kneading at the same time. Additionally, it comes with six automatic massage programs. Do you suffer from back pain? The Chiropractic Back Stretch feature loosens tight muscles and improves spinal health by using airbags to stretch muscles in your back and hips. For anyone who has experienced tired, sore calves and feet, the foot and calf massager can give them relief. It has a roller system that massages the bottom of the feet, heels and your arches. This Zero Gravity Massage Chair comes with air massage technology. It features three modes: full-body, arms and legs. All three modes has three intensity levels. With your massage session, you can enjoy soothing infrared heat. A carbon fiber heat source produces a penetrating heat that starts warming your body from the inside and works its way out. A few customers didn’t like the instructions that came with the chair. It may not be a good fit for people over 250 pounds. Click here to see the price of the Medical Breakthrough 4 Massage Chair on Amazon. Kahuna SM3700 is a zero gravity massage chair enhanced with cutting edge technology, tons of features and various techniques and functions. It’s designed to support different body types, including heavier and larger body types. With three more inches added to the shoulders and hip region of this chair, users up to 6 feet 5 inches and up to 320 pounds can use this chair and feel comfortable. 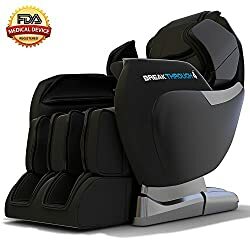 This massage chair comes equipped with nine different automatic massage programs, such as Relaxation, Pain Relief, Yoga Stretching, Fast Recovery, Athlete, Office Person, Golfer, Dynamic Sport and Senior Mode. You can access these massages while you’re in the zero gravity position. You can enjoy a thorough, relaxing back massage thanks to the upgraded SL-Track with six-wheel roller system. This feature now has a longer SL-Track and two extra wheels. With this feature, your spinal curve is traced from the neck area to your buttock region, and then massaged. 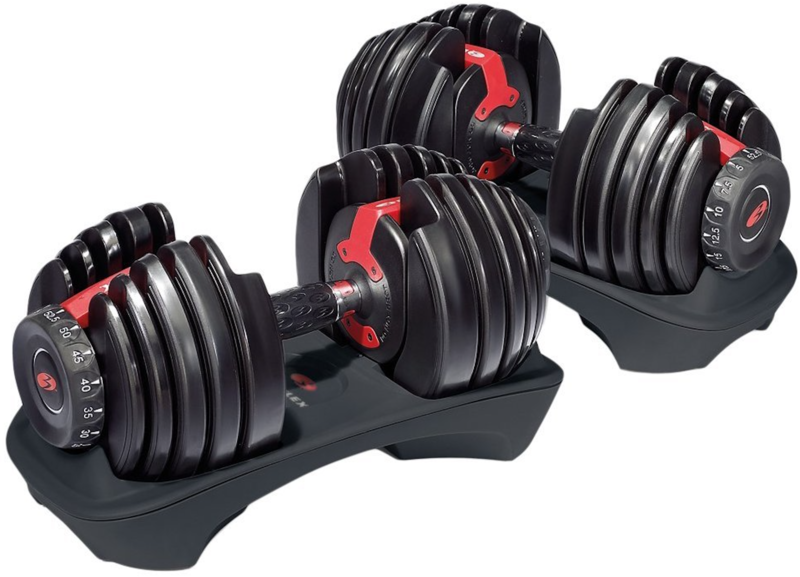 Moreover, the six rollers feel similar to human hands. Air massage technology is in full effect in this Zero Gravity Massage Chair. This technology distributes air cells throughout the chair to deliver stress-relieving, deep compression massages to certain areas of your body. Areas of the chair that provide air-cell massages are the hip and thigh area, calf and foot area and the arm area. In the arm area, acupressure points cover the fabric of the air cells to maximize and deepen the massage experience, which in turn, improves blood circulation to your arms and hands. The Kahuna SM3700 can perform several massage techniques, such as tapping, kneading, knocking, shiatsu and simultaneous tapping and knocking. A few tall customers 6 feet and up didn’t feel that the chair fitted them. Some customers didn’t like the remote because it didn’t have enough options. The neck support wasn’t sufficient for some customers. Click here to see the price of the Kahuna SM7300 Zero Gravity Massage Chair on Amazon. People of different shapes and sizes will feel comfortable in the RelaxonChair MK-IV. To add to their comfort is the space- saving zero gravity technology with three stages. When the chair is in this mode, the headrest glides down as the chair itself moves forward, assuming the position of what is known as “Next Generation Zero Gravity Positioning.” Moreover, it only needs three inches of clearance from your wall. The Next Generation S-Shape Rail System has replaced the traditional L-shape design because it does a better job of tracing the shape of your body. In this chair, you’ll have access to five auto programs. Each program uses a unique combination of massages for different needs. Neck & Shoulder Program: Works the neck and shoulder areas. Back & Waist: Works the waist and back areas. In the manual massage mode, you get access to five massage techniques, such as Shiatsu, Knocking, Kneading, Tapping and Kneading and Tapping combined. 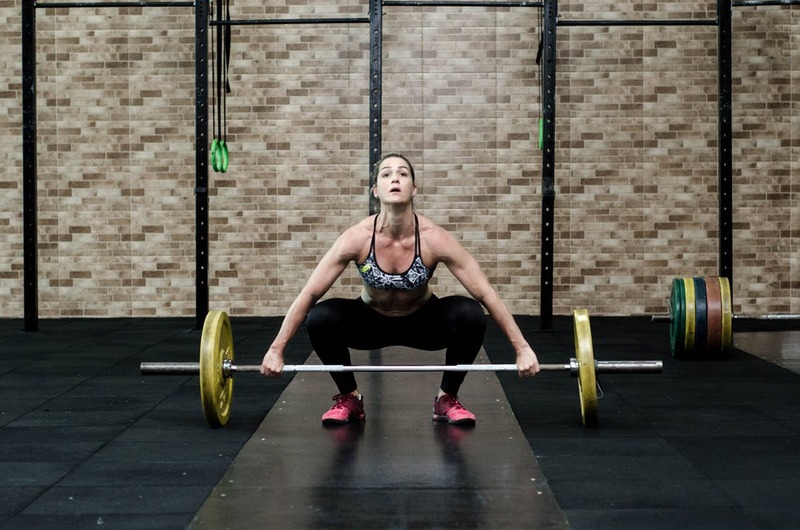 If these techniques get too intense or not intense enough, you can adjust the speed and intensity up to three levels. This Zero Gravity Massage Chair offers adjustable deep air massage using multiple airbags. These airbags surround your arms and legs. For your sore and tired feet, there’s the Next Generation Foot Massager. This massager uses 20 airbags and Shiatsu foot plates to massage your entire foot area. For taller folks, it extends over eight inches. A few customers were disappointed about the quality of the chair. There’s no massage for the neck area according to some customers. Some customers didn’t think the leg and foot massage was effective. Click here to see the price of the RelaxonChair MK-IV Zero Gravity Shiatsu Air Massage Chair on Amazon. Real Relax Favor-03 gives you a full-body massage, plenty of relaxation features, four preset massage programs along with zero gravity positioning. The zero gravity has three stages: Initial Zero Gravity, Comfort Zero Gravity and Deep Zero Gravity. The Armrest Linkage System is an exclusive feature to the Real Relax Favor-03. Whether you raise or lower the backrest, the armrest keeps pace automatically with the eight massage points inside the backrest. Shoulders, arms, legs, hips and feet areas in the chair provide relaxing compression massages. In the shoulder region, four airbags work together to loosen tight shoulder muscles. Eight airbags wrap around each arm and starts to massage away the tension. The hip and side region has round airbags and vibrating massage that loosens tight muscles. Twenty-four airbags and two Shiatsu massage points in the leg region surround your calves to give them a deep massage that relieve pain. The Real Relax Favor-03 hasn’t forgotten about your feet. In the foot section of the chair, rollers, heat and Shiatsu go to work on your feet to alleviate exhaustion and improve circulation. Heat therapy is always a delightful bonus when it’s added to a massage chair. A soft warm heat radiates from the lower backrest to your lower back, thus enhancing your massage experience. A few customers over 6 feet didn’t get the full benefit of massage chair. Chair didn’t work when it arrived for some customers. For some customers, the airbags in selected areas kept popping out. Click here to see the price of the Real Relax Favor-03 Zero Gravity Massage Chair on Amazon. RelaxonChair MK-II Plus has been upgraded and redesigned to offer users an improved full-body massage experience. With the three-stage zero gravity positioning, you get the most out of every massage this chair offers. This position eliminates stress on your heart and back, which alleviates back pain discomfort and makes your heart work less. When the Buttlock L-Tracking Massage System activates, a group of rollers start gliding down from the top back area down to the seat area, providing a full-body massage. With the help of computer body scan, a built-in sensor automatically scans and measures your spine to determine where to massage. 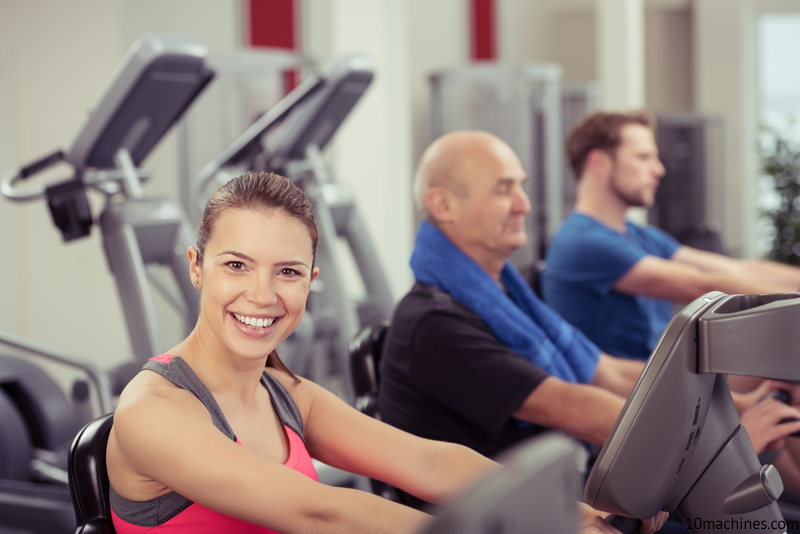 Pre-programmed massage programs help users get started quickly. With these four automatic programs, you’ll get a relaxation program, deep tissue program, stretch program and rejuvenation program. Additionally, this chair comes with three massage techniques, such as kneading tapping and combo. There’s a three-speed control for adjusting any massage. Designed to mimic human hands, the RelaxonChair MK-II Plus gives deep tissue massages and full body stretching using air massage technology. The air cells hold your body in place and stretches out the back muscles and legs. Multiple airbags in the hip section of the Zero Gravity Massage Chair delivers a compression massage to your waistline and hips. The massage helps to align your pelvis and lower back. The arm massager and calf and foot massager uses airbag technology to give a deep, stress-relieving massage. Moreover, your feet gets pampered more by a spinning roller that applies a kneading massage. A few customers felt that some of the massage techniques lacked intensity. For some customers, the airbags kept too much noise. Massage rollers felt too hard and didn’t move for a few customers. Click here to see the price of the RelaxonChair MK-II Plus Full Body Massage Chair on Amazon. ZeroG 5.0 was developed by Human Touch, a company with more than 35 years of experience with designing massage and wellness products. Human Touch didn’t left any premium feature when they manufactured this massage chair. The ZeroG 5.0 gives you a full-body massage using Human Touch Technology and zero-gravity positioning. With the 3D FlexGlide massage engine, you’ll experience professional massage techniques typically given by a certified massage therapist. These techniques help rejuvenate the entire human body. Zero Gravity Immersion offers several benefits, including better circulation, restore spinal health, improve breathing and alleviate tight muscles, tiredness and fatigue. The ZeroG 5.0 has four automatic massage programs developed by the Human Touch Wellness Council. Additionally, this chair uses four manual massage techniques, such as Stretch, Ease, Tone and Flex. Simply press and hold a button to be whisked away into a relaxing zero gravity neutral-posture position. With a push of another button, you can enable zero-gravity auto-rocking. In this mode, this chair moves you into a neutral-posture position and gently rocks you in sync with four auto massage programs. The rocking motion makes your massage sessions more relaxing and soothing. Enjoy the dual lumbar heating system strategically placed in the lower back area of the Zero Gravity Massage Chair. It uses warm air technology that gently warms everything from your shoulders to your lower back to loosen tight muscles and relieve pain. Calf and foot massager surrounds these targeted areas and provides a therapeutic massage using vibration massage and the Figure-Eight Technology, which makes your blood flow go up to better your circulation. Additionally, the calf and foot massager adjusts to accommodate different heights. Some customers reported that the chair started to overheat after a year. A few customers reported that the remote locked leaving them stuck in the zero gravity positioning. Click here to see the price of the Human Touch ZeroG 5.0 Premium Massage Chair on Amazon. Back pain and foot pain can affect the quality of your life. 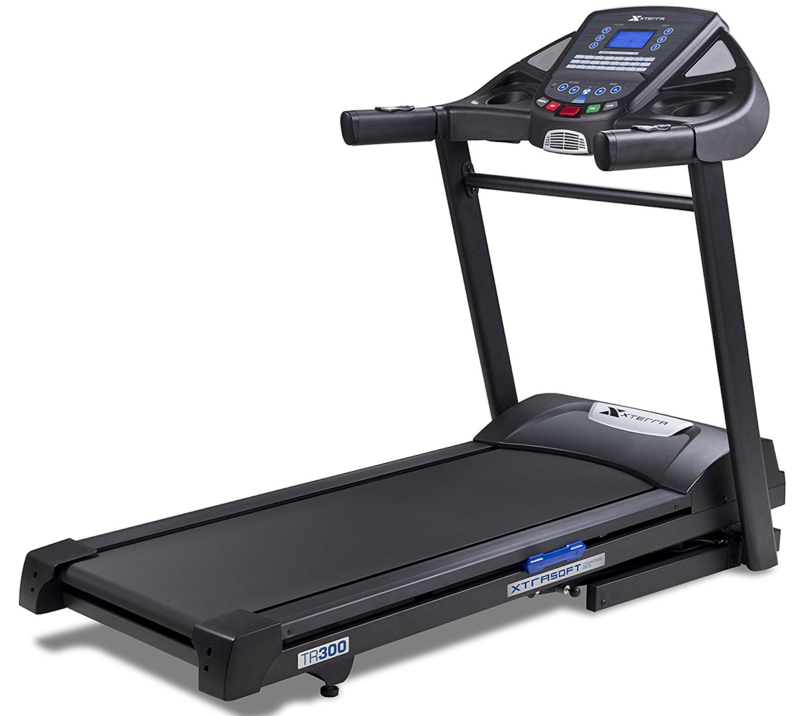 With the Forever Rest FR-5K, you’ll finally get back and foot pain relief. This massage chair puts you in a zero gravity position that immediately takes the stress off your spine and feet. The i-Track Intelligent Back Quad Roller alleviates back pain by going to work on your neck, upper back, mid back and lower back. To ensure you receive a customized massage, the Quad Roller Intelligent Back Detect scans your upper body size and adjusts the massage points to accommodate your body type. In the manual massage mode, you’ll experience seven different massage techniques, such as Kneading, Rolling, Knocking, Shiatsu, Tapping, Vibration (Hip area) and Kneading and Knocking combo. To help you jump right in to the massage experience, this chair comes with four automatic massage programs, such as Relax, Swing, Stretch (Yoga Stretch) and Recover. Yoga stretches do a world of good for your muscles and circulation. However, it takes a while to master Yoga stretches. With the Yoga Stretch Program, you can benefit from Yoga without trying. The program begins by squeezing your legs and feet. Then, it pulls your legs and feet downward while the backrest pulls your upper body back into a reclining position. Massages can run up to 30 minutes with the option of adding more time to a session before it ends. Also, there’s a pause feature that lets you pause a massage session without having to turn the Zero Gravity Massage Chair off. 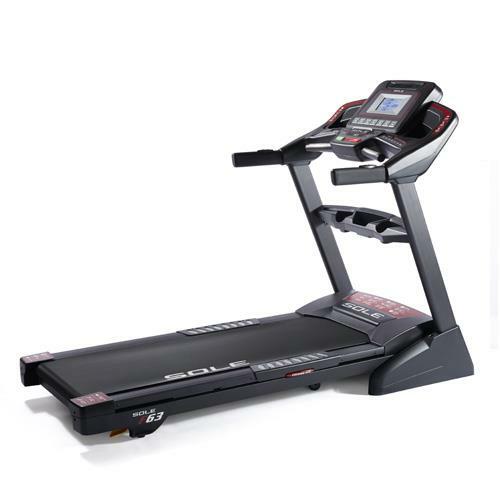 Your feet will enjoy the ultimate massage experience in the Forever Rest FR-5K. Many of its competitors only offer an acupressure massage for the feet. However, this chair offers calf and foot acupressure plus a rolling massage. For tall people, the footrest and leg massager extends up to eight inches. Some customers felt that the massage chair wasn’t comfortable enough to use as a regular chair. A few customers felt there wasn’t enough control options. Massages felt too deep for some customers. Click here to see the price of the Forever Rest FR-5K Zero Gravity Massage Chair on Amazon. Cozzia Zero Gravity Massage Chair gives you a massage experience that surpasses the one you would get from a massage therapist due to the zero gravity positioning feature. Zero gravity puts you in a position that will maximize the effects of different massage techniques. Auto-scan technology memorizes areas of your body to create a customized massage for your body type. This technology works with the S-shaped back rest. You get plenty of variety with the six pre-programmed massages that has adjustable speed, intensity and strength. Moreover, the Zero Gravity Massage Chair can execute seven different massages: Shiatsu, Swedish, Kneading, Tapping, Rolling, Kneading and Vibration. Other features include air pressure massage for back, seat, legs and feet, five to 30 minute timer and remote control for your convenience. A few customers didn’t like the fact that it doesn’t offer heat therapy. There’s no massage option available for the arms. Click here to see the price of the Cozzia Shiatsu Zero Gravity 16027 Massage Chair on Amazon. Omega Zero Gravity Serenity Massage Chair is an unbeatable mix of style, functionality and wellness. Its exterior features a stylish contemporary design that can spruce up your home or office. This zero gravity chair has plenty of therapeutic features to accommodate your relaxation needs. The air massage system brings relief to every area of the body that it massages. It has three automatic programs and seven airbags distributed throughout the chair. The seat area has three airbags, two airbags in the neck area and two in the back area. You can adjust the air pressure level too. Vibration massages provide relaxation and stimulate blood circulation. The vibration massage system in the Omega Serenity chair has three automatic programs. 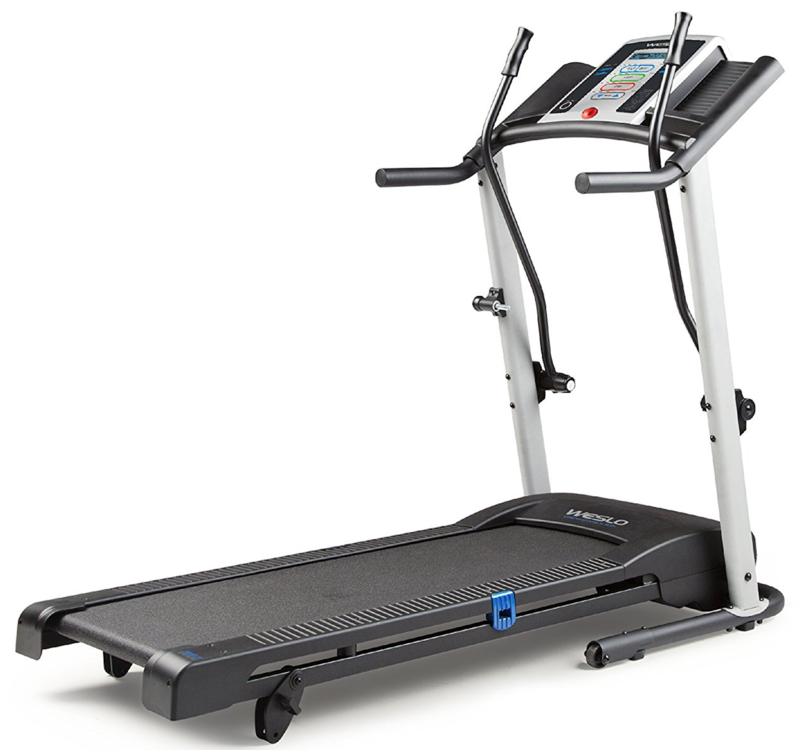 Eight motors deliver pulsating vibrations to your lower body. Two motors massage the buttocks area, two for thigh area, two for calf area and two for the feet area. It’s even possible to select areas to apply the vibrating massage. In this Zero Gravity Massage Chair, your lower back can enjoy a kneading massage. A mechanical roller performs a gentle rolling and kneading action to your lumbar area. 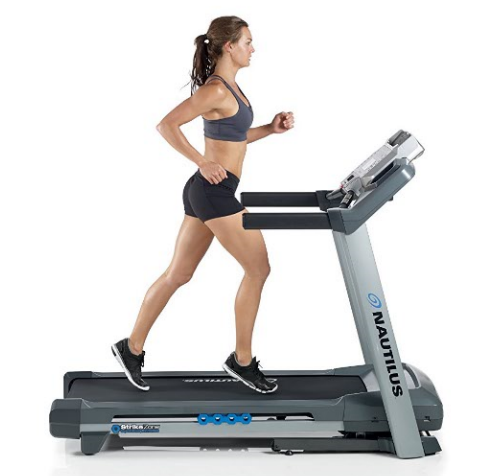 The intensity is adjustable up to three levels. With this kneading massage, your back muscles will loosen up. Unlike other massage chairs, the Omega Serenity chair offers full body heat. There’s a heating system inside the Zero Gravity Massage Chair that provides heat throughout the entire chair. With a push of a button, you can activate soothing and relaxing warmth. The feet area doesn’t provide a deep massage. There’s no massage for the arms. Click here to see the price of the Omega Zero Gravity Serenity Massage Chair on Amazon. For instant comfort and effective relaxation, you should consider purchasing a zero-gravity massage chair for your home or office. By now you must have found the full information on how to find the best zero gravity massage chair for your needs. Always choose a zero-gravity chair based on the available budget and features you need in your daily routine. For extra features and superior built-quality, you may have to spend additional money on your purchase. There’s always a top-rated zero gravity massage chair for everyone out there on the market. Our zero gravity massage chair reviews gave you an idea on some of the best options that you could choose from.